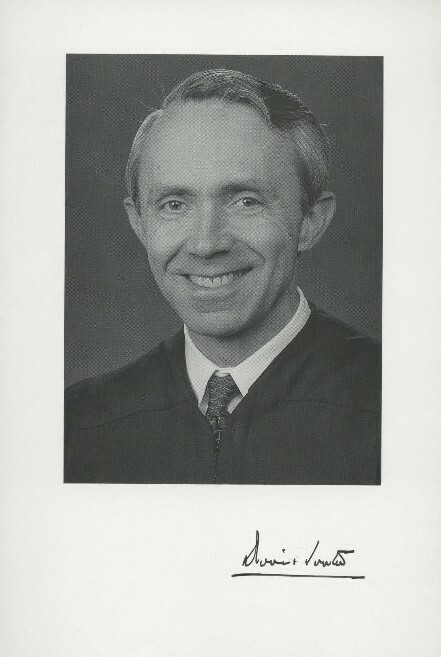 That smiling handsome face above is Justice David H. Souter of New Hampshire, nominated by President George H. W. Bush on July 25, 1990 as a result of the strong recommendation of New Hampshire Senator Warren Rudman and the President's Chief of Staff, former New Hampshire Governor John Sununu, who attested to his conservative bona fides. Souter so convinced everyone that the NOW, NARAL and the other pro-abortion and liberal groups opposed his nomination. How wrong they were, for he has proved to be a very consistent liberal vote with Justices Ginsburg, Breyer and Stevens. The most publicity he has received recently is for his 2005 vote with the liberal bloc (and new swing vote Justice Kennedy) in Kelo v. City of New London in allowing the condemnation of personal residences to benefit a commercial development supported by the City. The decision caused widespread outrage at the diminution of valued property rights and led to the passage of state laws restricting state and municipal use of eminent domain powers It also led to a whimsical but much publicized effort to have Justice Souter's property in Weare, NH condemned to build a "Lost Liberty Hotel" that would feature a "Just Desserts Cafe." But Justice Souter is still smiling because the sensible folks in New Hampshire didn't want to misuse the eminent domain power Justice Souter authorized.